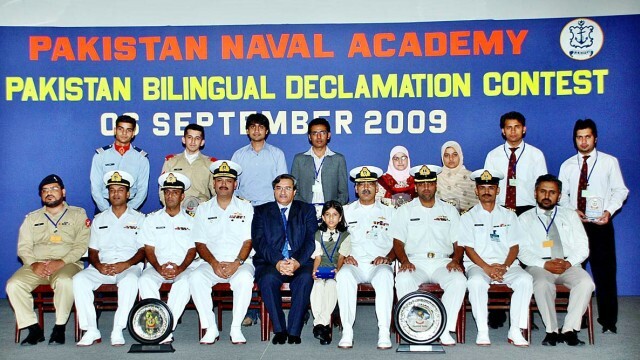 KARACHI: September 07 A group photograph of Senior Minister for Education and Literacy Department with the participants during bilingual declamation contest at Pakistan Naval Academy to mark the Defence Day of Pakistan celebrations. 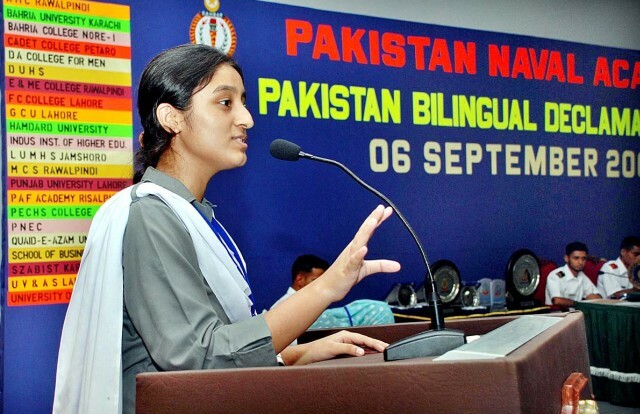 A participant speaking during bilingual declamation contest at Pakistan Naval Academy to mark the Defence Day of Pakistan celebrations. 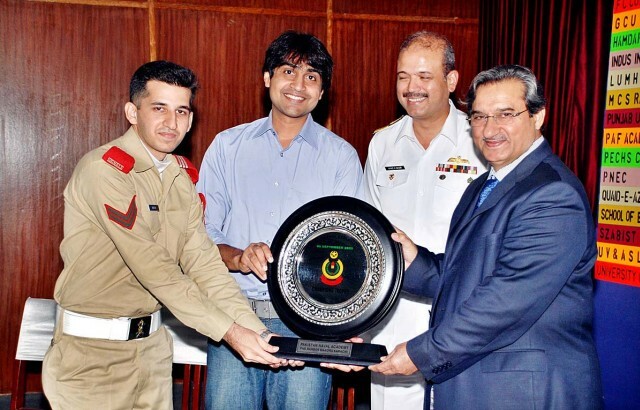 A group photograph of Senior Minister for Education and Literacy Department giving away winning trophy to Military College of Signals Rawalpindi during bilingual declamation contest at Pakistan Naval Academy to mark the Defence Day of Pakistan celebrations.